In May 1956, the Texan label Starday issued a wild rockabilly single by Thumper Jones. Its top side, the kinetic “Rock It”, was primal, uncontrolled and wild. The flip, “How Come It”, was less frenzied but still driving and infectious. Original pressings of the two-sided pounder in either its 45 or 78 form now fetch at least £200. This is not your usual rockabilly rarity though. The record’s label credited the songs to a Geo. Jones. Thumper Jones was a pseudonymous George Jones (1931–2013), who was cashing in a hip style: the only time he did so with rockabilly. 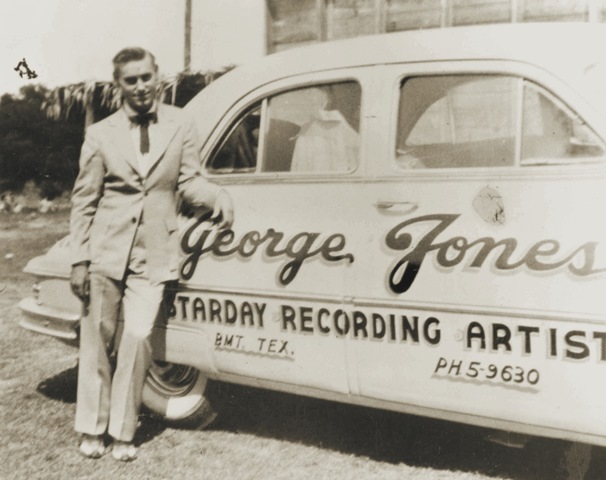 At this point – the Thumper Jones tracks were recorded in March 1956 – Jones was locally known but not yet a big deal. Of the 32 known sides he had recorded for Starday before “Rock It”, at least five were covers of country songs made famous by others which were issued on the cheapo Starday subsidiary imprint Dixie – the equivalent of Britain’s Top of the Pops albums of the Seventies. Buyers got the song, but it was a re-recording. Jones was again doing what it took to make his way in the music business. 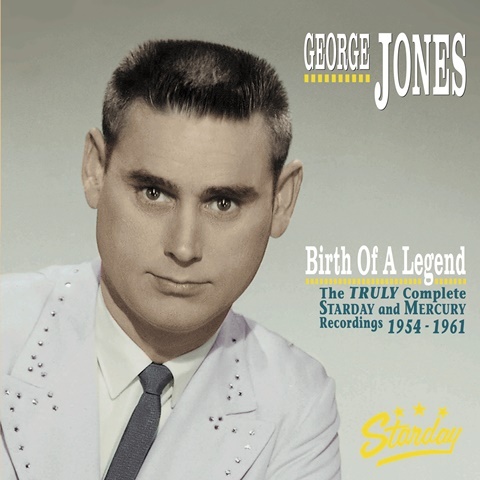 These are just two fascinating aspects integral to the overarching narrative of countrysuperstar George Jones’s early years, the period celebrated by the inelegantly but precisely titled Birth of a Legend - The Truly Complete Starday and Mercury Recordings 1954-1961. This new box set is the last word on a series of recordings which have previously been reissued in piecemeal fashion, but never with this hefty package’s diligence. Birth of a Legend weighs-in at 2.5kg. The LP-sized box contains six CDs with 200 tracks, of which 20 are either previously unreleased songs or takes. The playing time is seven hours, 38 minutes. Lifting the box's lid reveals a hardback, full-colour, well-designed 174-page book. Its detailed, literate text covers Jones’s life before and during the relevant period, and includes lengthy individual sections on each recording session and its songs. There is also a session-by-session listing as well as a song index. 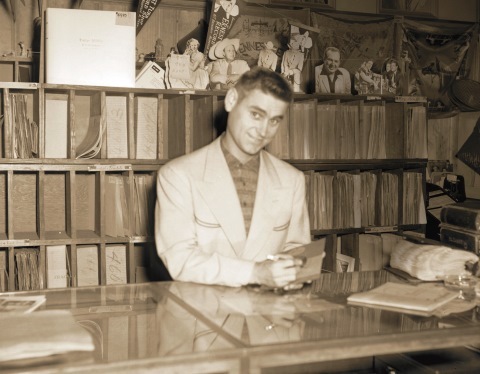 For anyone wanting to know everything there is to know about the recordings of pre-United Artists, pre-Musicor Records George Jones, this is where to come. Early and well-known songs like "Tender Years", "White Lightning" (easily taken as rock ‘n’ roll as much as country), "Why Baby Why” and "Window up Above" feature. As do duets with Bobbie Ellison, Jeanette Hicks, Margie Singleton and Virginia Spurlock. The tracks are sequenced in the order they were taped meaning, for example, four takes of “Now Tell me” are heard one after the other. This is no best-of or a set for dipping into. It is, practically, an aural reference library dedicated to one of America’s great musical stylists. Three notions emerge while the set wends its way towards the five-hour point. Jones was signed as a singer-songwriter from the off. He was going to, hopefully, make money as a performer and as a composer. Five songs were taped at his first session in January 1954 and four of them were written by him (the composer of one is unknown). Songwriting was core to his ethos. Second, about his work rate. He was taping what would now be thought of as three to four albums-worth of material a year. Third, in relation to his malleability. Hank Williams and (logically following on from that) Lefty Frizzell were marked influences, but when he was tracking the Dixie cover versions he was, if he wanted, able to adopt the style of Elvis on “Heartbreak Hotel”. When he couldn’t be bothered to try other’s voices on for size, his Dixie stab at “Folsom Prison Blues” makes no attempt to sound like Johnny Cash. It sounds like a half-interested George Jones marking time in the studio by seeing how Hank Williams would have tackled the song. Then, there is that voice. At his best and most disciplined, Jones imbued even the most corny lines with emotion. “Cup of Loneliness”, recorded in January 1957, could have been trite with its lyrics about being treated like dirt and getting hurt but is instead delivered with such force it sounds heartfelt. Such was his craft. The same with “Boat of Life” (recorded c June 1956). “Do angry winds beset your soul” asks Jones before bringing up Jesus and concluding with the advice “it’s foolish to paddle all alone.” Wonderful. As the book’s text acknowledges, a lot has been written about Jones; much of it focusing on his chaotic life, drinking and marriage to Tammy Wynette. Still, though, he made records, which is what Birth of a Legend is about. 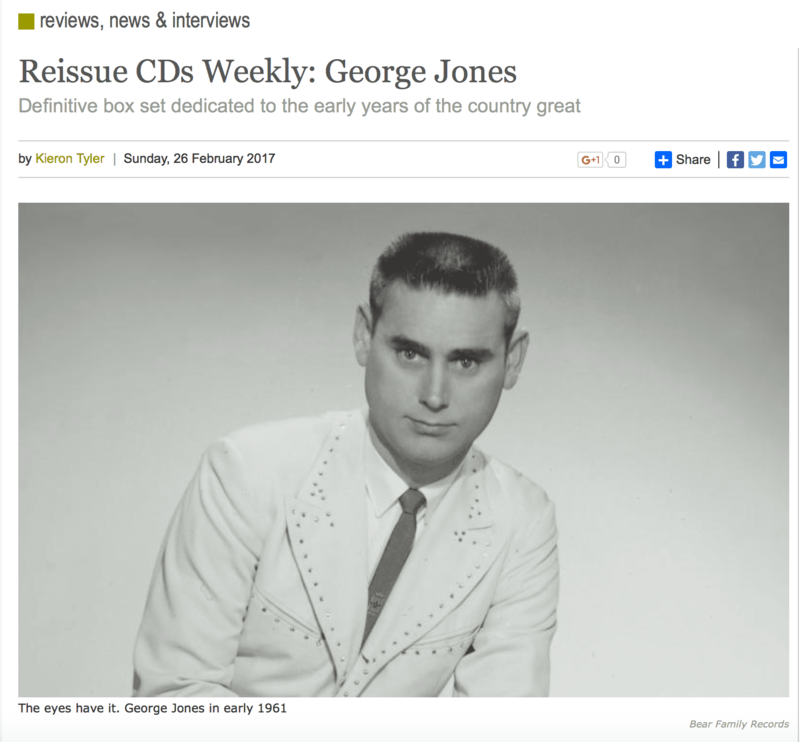 Obviously, with its price of around £130, Birth of a Legend - The Truly Complete Starday and Mercury Recordings 1954-1961 is not an impulse purchase or entry point into George Jones. Even so, it is indispensable.